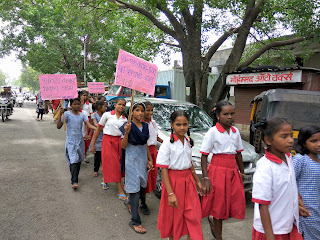 Chinchwad, 28th June 2017: The Don Bosco Development Society (DBDS), Chinchwad organized a rally to create awareness on environment issues and to celebrate World Environment Day. 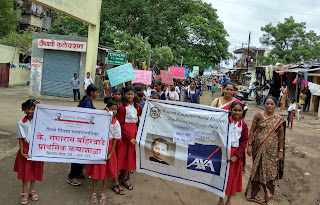 Over 200 children from PCMC Chinchwad School participated in this rally. 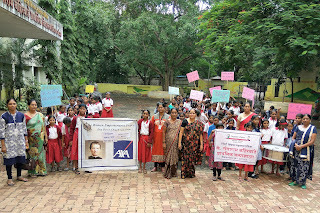 The rally was held under the aegis of ‘women empowerment project’ supported by AXA Business Services. 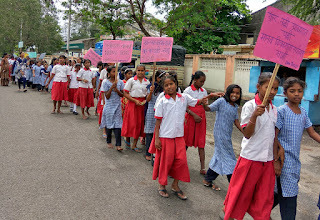 On 28th June at 10.00 am School children gathered at their school Ground with placards carrying slogans on conserving environment, saving water, saving trees etc. 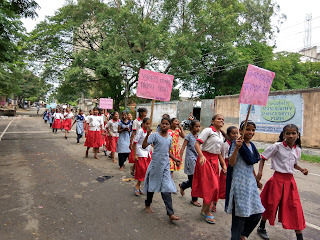 They walked in the lanes of India Nagar slums informing people on importance of trees and water in our life. 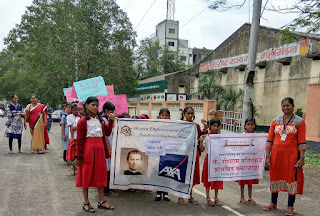 Children were very enthusiastic during the rally and they shouted slogans to send their message to people on their way.